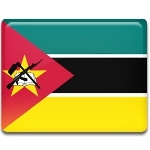 National Women's Day is a public holiday in Mozambique celebrated annually on April 7. It marks the anniversary of Josina Machel's death in 1971. Josina Machel is remembered for her struggle for the emancipation of African women. Josina Machel (born Muthemba) was born on August 10, 1945. In 1964, she fled the country to join the Mozambique Liberation Front (FRELIMO) based in Tanzania, but was caught and jailed. She spent five months in prison, but was released as a result of an international campaign organized by FRELIMO. Josina was heavily engaged in the struggle for the independence of Mozambique. She volunteered for the Women's Branch that provided women with military and political training aimed at fully integrating women into the liberation struggle. In 1969, she married Samora Machel, the director of the Women's Branch training center and future first president of Mozambique. They continued to carry out their duties for FRELIMO. On April 7, 1971, Josina died of cancer at the age of 25. In 1972, FRELIMO declared the day of her death as National Women's Day. The holiday honors her contribution to the struggle for independence and promotion of the emancipation of women in Africa.